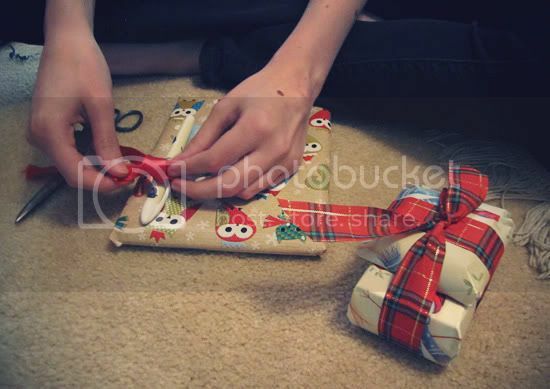 This afternoon I wrapped up the last of the Christmas presents with the help of my sister. 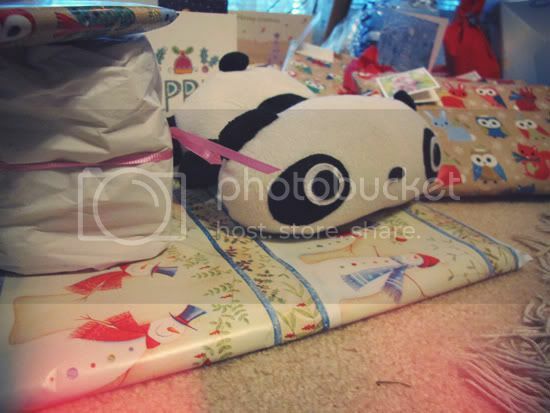 For those that were asking, this is one of my pet pandas in these photos. Is he real? He's real to me! So Merry Christmas to everyone and don't forget to enter the giveaway if you haven't already! 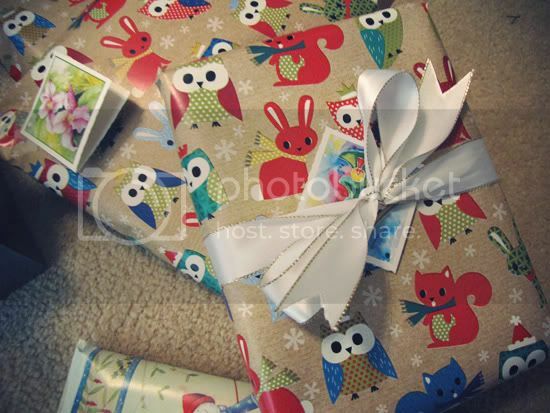 I love your owl wrapping paper! Merry Xmas! Oh my gosh!! 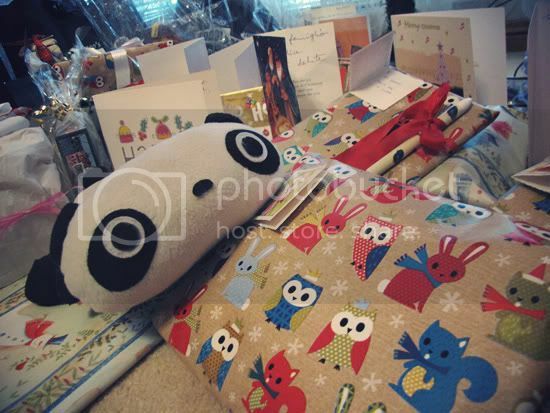 I love that owl wrapping paper!! 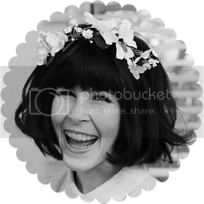 Beautiful mood and gift wrapping! That is some mighty-adorable wrapping paper! Ohhhh your wrapping paper is so gorgeous! And I love your panda, he is adorable and I have been hunting for a panda of my own for aaaages. Merry Christmas sushi, all the best in 2011. I love TarePanda - I have him sitting on my desk at work. He has mini Adobe Creative Suite badges stuck to his head haha. Don't ask. LOL! 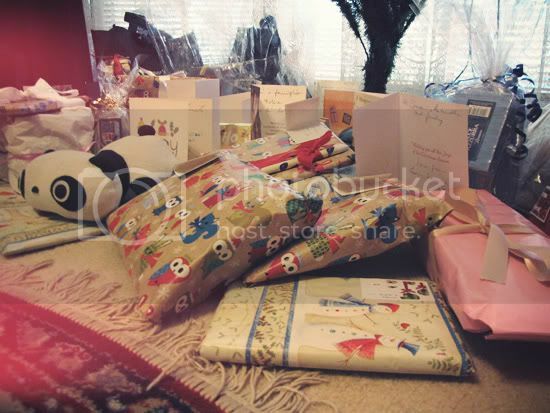 I really like the wrapping paper you used, the characters are really cute. That's the cutest wrapping paper! Merry Christmas to you and your family. And Merry Christma to you! 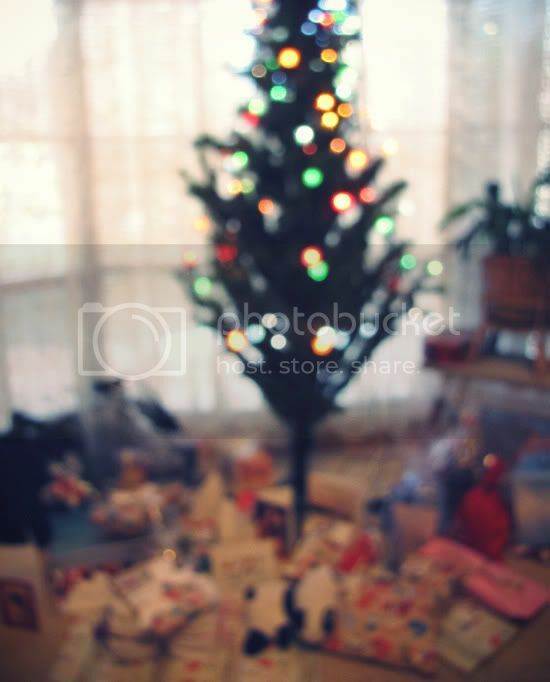 these pictures are so candid and definitely capture the spirit of Christmas and all its glory. I just received some of my Christmas gifts and I feel so nice ! merry christmas and may all your wishes come true! 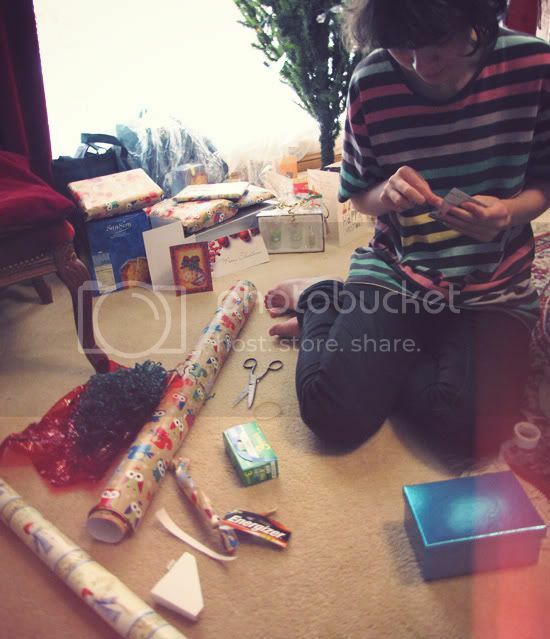 the wrapping paper you used is too cute :] merry christmas! Like everyone else, I love the wrapping paper- where did you get it from? I used some cute stuff from Kikki.k this year, I should've taken pics! I loooooove the panda too! I want one!